If you value your financial health, we have a product for you. Please browse our offerings below. Ready to start? Call us today at 775-359-7600 or email info@vastcfo.com to set up a complimentary personalized strategy session to discuss ways VAST can help that your company to the next level. The purpose of this comprehensive package of services is to provide you, the time-strapped entrepreneur, with the series of tasks needed to launch a new business for your U.S. operations. With VAST:Launch, an expert will complete the items needed to establish the foundation of your new business.! These tasks include Structuring a Nevada Entity, Acquiring an EIN, Setting up a Quickbooks File and even providing you with some handy budget templates. Our VAST CFO services (VCFO) are ready to step in once your company grows and your accounting needs become more complex than is suitable for our customary virtual accounting services. Our experienced and talented CFOs are ready to virtually step into your company’s CFO role, assisting you with the continued growth and success of your organization. VAST CFO translates your financial statements into powerful tools for success. 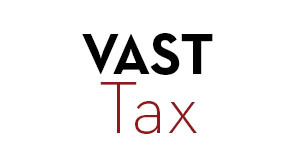 VAST Tax provides businesses with the year round tax support they need to ensure compliance with the Internal Revenue Service while also planning for taxes. We like surprises but only for birthdays, and that's why VAST Tax plays a proactive member of your team. We make sure all of those pesky payroll tax returns are filed, that you'e making your quarterly tax payments and whatever else you may need according to ever changing tax law. Step 1: Set goals. Step 2: Achieve them. With VAST Perform, we’ve created a business-building platform to help entrepreneurs become accountable. With VAST Perform, you’ll have a series of regular phone calls with your CFO so you can identify a gameplan and budget your way to the goal line. This comprehensive guide is for the do-it-yourself entrepreneur, providing step-by-step instruction for successfully running a business with a great foundation that will propel you to the next level. VAST:Map is an invaluable educational package that includes 10 informational chapters, a complimentary workbook, and 10 videos that supplement the material with tools and exercises to implement the recommendations. In Tanya McCaffery's literary debut, she asks the impermeable question: are you ready to scale? Growing and scaling are two very different things. As your company grows, you may not be ready with the right infrastructure to handle it. In The Entrepreneurial Standard, Tanya takes an action oriented approach to scaling so you can start making changes and take your company from garage to great. Go big or go home. Are you interested in getting paid to love VAST? Apply to become a VAST Affiliate and earn 5% commissions on all new clients you send our way!